Microsoft may be close to offering multi-session remote desktop access to Windows 10 Enterprise, allowing for as many as 10 simultaneous connections. Hints appeared last week that Microsoft may be close to offering multi-session remote desktop access to Windows 10 Enterprise as an alternative to, and complement of, Windows Server. The appearance of "Windows 10 Enterprise for Remote Sessions" as an installation option was noticed by Tero Alhonen, of Svenska Handelsbanken AB, who tweeted screenshots Aug. 1. The find was first reported by ZDNet's Mary Jo Foley two days later. The new SKU (stock-selling unit) installation option was found in a recent Insider preview for the next Windows 10 feature upgrade, dubbed 1809 in Microsoft's usual yymm nomenclature. Alhonen discovered the option on the disk image (.iso file format) of build 17713. Currently, Windows 10 Enterprise (as well as Windows 10 Pro) allow only one remote session connection. The new SKU will handle as many as 10 simultaneous connections. At this point, multi-session Remote Desktop Services (RDS) is a Windows Server-only feature, one that lets users run applications hosted on servers, whether the servers are on-premises or cloud-based. But the evidence uncovered by Alhonen hints that Microsoft will expand a form of RDS to Windows 10. "There's a ton of unanswered questions," said Wes Miller, an analyst at Directions on Microsoft, noting Microsoft silence on such a move. He expected that some answers will be revealed at Microsoft Ignite, the company's massive conference for IT professionals that's set for Sept. 24-28, or with the release of Windows 10 1809 this fall. One thing he's sure of, however. "You won't see this running on hardware at a user's desktop," Miller said of Windows 10 Enterprise for Remote Sessions. Instead, he believes the SKU should be viewed as back-end infrastructure that will be installed at server farms in the virtual machines that populate those systems. If Windows Server serves - no pun intended - as the destination for remote sessions accessing applications or even desktops, why would Microsoft dilute the market with the presumably-less-expensive Windows 10 Enterprise SKU? Miller theorized that it was because of the two Windows lines' different release cadences. "Since Windows 10 arrived, Microsoft has had a challenge, which is that Windows 10 is on semi-annual cadence," he said. "The problem is that Windows Server [with a desktop graphical user interface] is only coming out as a long-term servicing channel." The disparity in the release rhythms poses a dilemma, Miller explained. New features, notably security advances, are delivered in Windows 10 Enterprise twice annually. Meanwhile, Windows Server also has a Semi-Annual Channel, or SAC, that issues feature upgrades two times a year. The problem is that the Windows Server SACs are designed as container hosts and lack a desktop-style graphical user interface (GUI). The only Windows Server instance that does offer a desktop GUI is the Long-Term Servicing Channel (LTSC), which is feature-stable, feature-static during its 10 years of support. The current LTSC is Windows Server 2016, which will be shoved aside by Windows Server 2019. 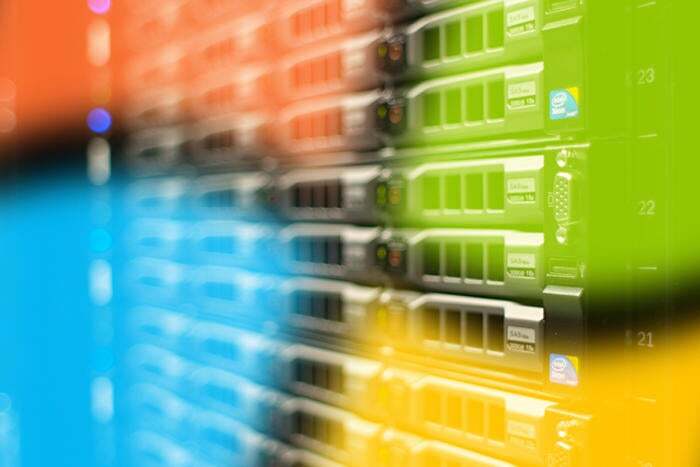 Microsoft has said that it will issue an LTSC of Windows Server every two to three years. Windows 10 Enterprise Remote Sessions, said Miller, looked to be a hybrid between Terminal Services and VDI (Virtual Desktop Infrastructure). He also thought it had a shot at replacing Windows Server as the go-to remote desktop services-related SKU. His reasoning? Again, the disparity between the two products' release tempo. "[Windows 10 Enterprise Remote Sessions] would include the innovation [in Windows 10] so users are kept up to speed, but on a server-based desktop," Miller said.